Judaism, with its long history of dealing with the soul of man, its intimate knowledge of man's achievements and foibles, his grandeur and his weakness, has wisely devised graduated periods during which the mourner may express his grief, and release with calculated regularity the built-up tensions caused by bereavement. 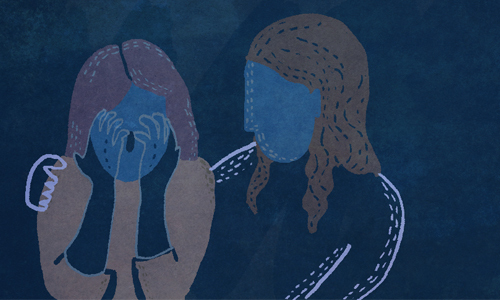 The Jewish religion provides a beautifully structured approach to mourning. The insight of the Bible, together with the accumulated religious experience of centuries, has taught the Jew how best to manage the grief situation. It was only with the rise of modern psychology, with its scientific tools and controlled experimentation, that the value of this grief structure has been recognized. Joshua Loth Liebman, in his book Peace of Mind, maintains: "The discoveries of psychiatry—of how essential it is to express, rather than to repress grief, to talk about one's loss with friends and companions, to move step by step from inactivity to activity again—remind us that the ancient teachers of Judaism often had intuitive wisdom about human nature and its needs which our more sophisticated and liberal age has forgotten. Traditional Judaism, as a matter of fact, had the wisdom to devise almost all of the procedures for health-minded grief which the contemporary psychologist counsels, although Judaism naturally did not possess the tools for scientific experiment and systematic study." The Jewish tradition has thus provided for a gradual release from grief, and has ordained five successive periods of mourning, each with its own laws governing the expression of grief and the process of return to the normal affairs of society. It fits so closely the normal cycle of bereavement that some have maintained that the laws of mourning are descriptive rather than prescriptive. The first period is that between death and burial (aninut), during which time despair is most intense. At this time, not only the social amenities, but even major positive religious requirements, were cancelled in recognition of the mourner's troubled mind. The second stage consists of the first three days following burial, days devoted to "weeping and lamentation." During this time, the mourner does not even respond to greetings, and remains in his home (except under certain special circumstances). It is a time when even visiting the mourner is usually somewhat discouraged, for it is too early to comfort the mourners when the wound is so fresh. Third, is the period of shiva, the seven days following burial. (This longer period includes the first three days.) During this time the mourner emerges from the stage of intense grief to a new state of mind in which he is prepared to talk about his loss and to accept comfort from friends and neighbors. The world now enlarges for the mourner. While he remains within the house, expressing his grief through the observances of avelut--the wearing of the rent garment, the sitting on the low stool, the wearing of slippers, the refraining from shaving and grooming, the recital of the Kaddish—his acquaintances come to his home to express sympathy in his distress. The inner freezing that came with the death of his relative now begins to thaw. The isolation from the world of people and the retreat inward now relaxes somewhat, and normalcy begins to return. Fourth is the stage of sheloshim, the 30 days following burial (which includes the shiva). The mourner is encouraged to leave the house after shiva and to slowly rejoin society, always recognizing that enough time has not yet elapsed to assume full, normal social relations. The rent clothing may customarily still be worn for deceased parents, and haircutting for male mourners is still generally prohibited. The fifth and last stage is the 12-month period (which includes the sheloshim) during which things return to normal, and business once again becomes routine, but the inner feelings of the mourner are still wounded by the rupture of his relationship with a parent. The pursuit of entertainment and amusement is curtailed. At the close of this last stage, the 12-month period, the bereaved is not expected to continue his mourning, except for brief moments when yizkor or yahrzeit is observed. In fact, our tradition rebukes a man for mourning more than this prescribed period. In this magnificently conceived, graduated process of mourning an ancient faith raises up the mourner from the abyss of despair to the undulating hills and valleys of normal daily life. That a time be set aside for the expression of grief is indicated in the Bible and is mentioned, recurrently, in its early historical narratives. The High Priest, Aaron, is stunned by the sudden death of his two sons at the apex of their careers. When Moses asks why the sacrificial offering was not eaten on the day of their deaths, Aaron replies: "There have befallen me such things as these, and had I eaten the offering, would it have been pleasing in the eyes of the Lord?" (Lev. 10:20). Aaron's explanation is that the time of mourning is not an occasion for feasting before the Lord; it is, specifically, for the expression of grief. So too, Amos refers to a special time for mourning. He prophesies the disastrous consequences of injustice and immorality, and declares: "And I will turn your feasts into mourning, and all your songs into lamentations; and I will bring sackcloth upon all loins, and baldness upon every head; and I will make it as the mourning for an only son; and the end thereof as a bitter day" (Amos 8:10). The day of grieving is yom mar, "a bitter day." The sages noted that it was the practice in ancient times, even prior to the revelation at Mt. Sinai, to mourn intensely, not only for one day, but for one week-shiva. Thus, Joseph was an avel for seven days following the passing of his father, the patriarch Jacob. After the revelation, Moses established the seven days of mourning by special decree declaring, as formal doctrine, that which had been practiced only as custom. He enacted, the sages asserted, the seven days of mourning as he enacted the biblical seven days of rejoicing of major holidays. The connection between the two opposites is hinted at in the verse from Amos, quoted above: "And I will turn your feasts into mourning." Just as feasts were observed for seven days, so mourning was to last for one week. Thus, from the earliest moments of recorded Jewish history, the Jewish people have observed shiva for deceased relatives as "days of bitterness." The occasional disregard of shiva in some quarters of the Jewish community, or the casual decision, without rabbinic authorization, to observe an arbitrary number of days of mourning to suit one's own needs, or to coincide with a weekend, amount, in fact, to a noxious disregard of generations of sacred observance. 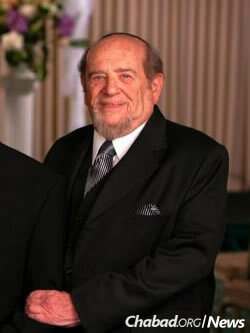 The Jewish Way in Death and Mourning by Rabbi Maurice Lamm. To purchase the book click here. A thorough elucidation of the Jewish laws and customs relating to death and mourning, from the moment of death to post-mourning practices and procedures. How could tragedy come to the wedding?